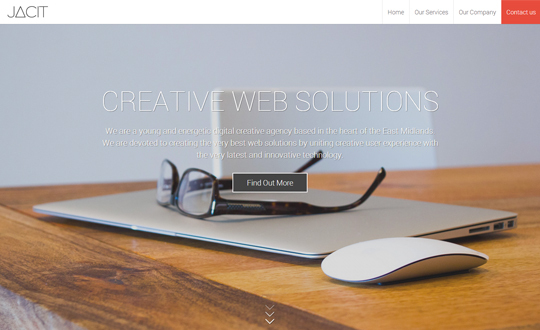 Jacit is a digital creative agency based in Nottingham (UK) and provides complete online business solutions including ecommerce, responsive web design & SEO. Our main focus is to build long term-relationships with our clients delivering real measurable results which help them to achieve their long-term goals. We pride ourselves on our professional standards and our commitment to providing quality customer service. Our ability to think differently coupled with our ‘can-do’ attitude allows us to achieve what other digital agencies can’t. We encourage our clients to push the boundaries by thinking outside the box and by using the latest technologies and development methods to create truly compelling web solutions.